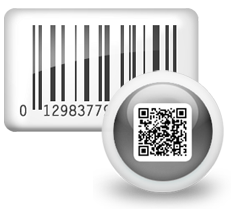 In barcode designing view, go to drawing tools from toolbar to draw barcode label and do various settings as per need. 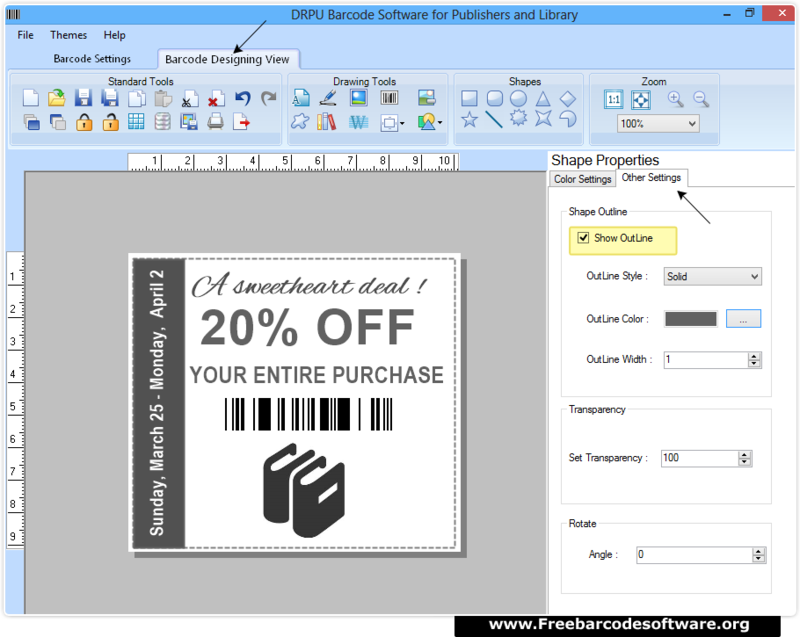 Select barcode technology and font type, set barcode value and other fields to proceed. 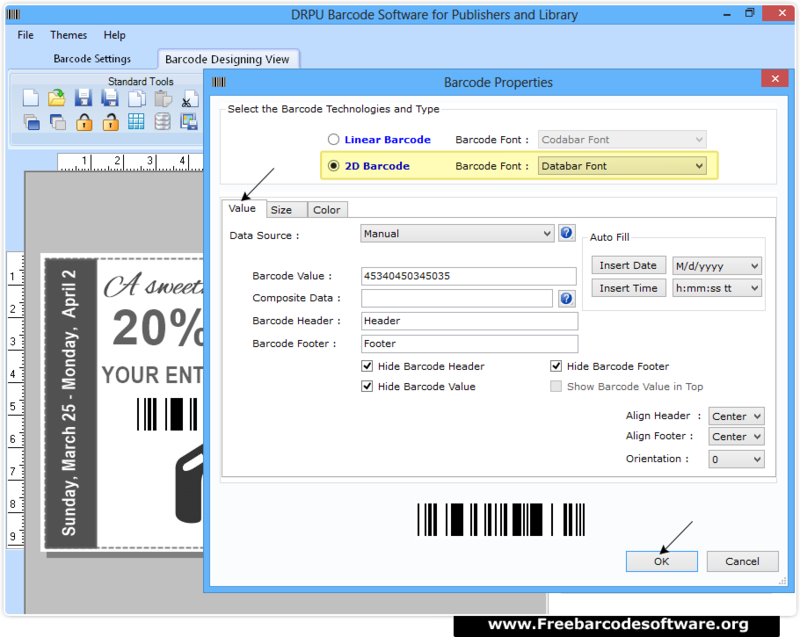 To print designed barcode label, go to print option from tool bar and choose print mode (Manual or pre Define Label Stock). 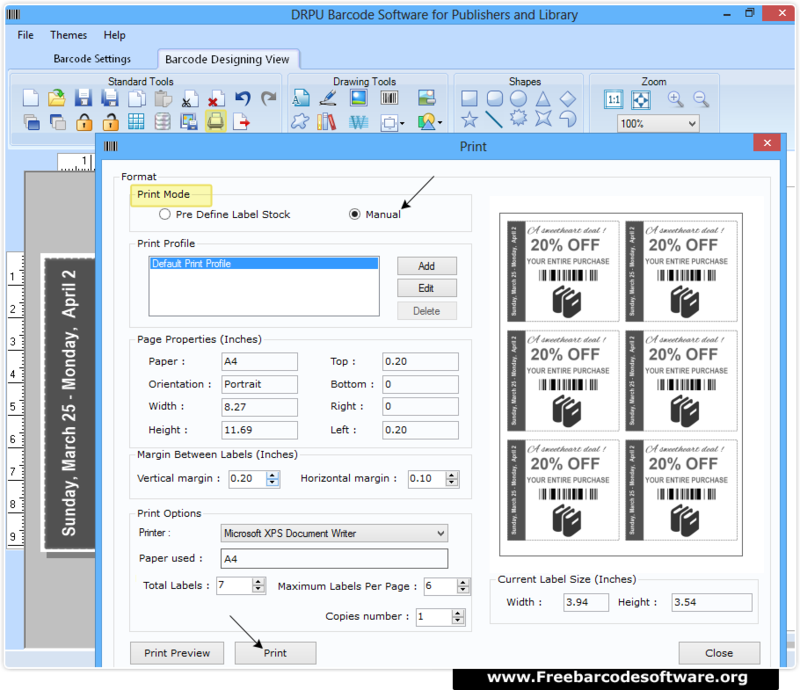 You may also print preview your settings to avoid errors.